An economical red sheet for use in low pressure applications with no oil resistant requirements. 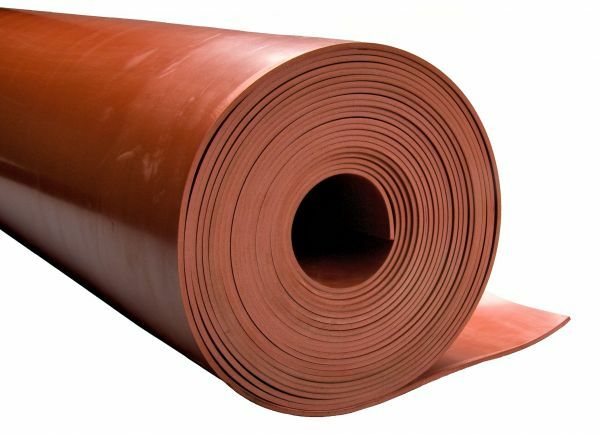 Red rubber remains the industry’s general service gasket material for common applications such as water. Can be waterjet fabricated or die cut to any shape. ADVANTAGES Excellent impact strength; very good resilience; tensile strength; abrasion resistance and flexibility at low temperatures. LIMITATIONS Poor resistance to ozone and sunlight; very little resistance to oil, gasoline and hydrocarbon solvents. APPLICATIONS Bulk and non-critical applications (basic gaskets and washers, skirtboards, scrapers).